Looking to buy an LCD Projector or a Portable PA System? We’ll help you find a product to suit your needs and your budget. We have a large list of suppliers to help you find exactly what you’re looking for. 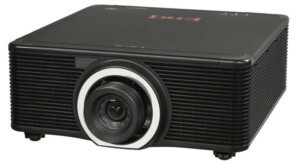 This projector has a 8,000 Lumen brightness, a 100,000:1 contrast ratio, and the superior color performance resulting from the use of both blue and red lasers. The EK-810U support versatile LAN control and carries the added benefit of an IP6X Dust Ingress Test rating for long-term reliability. The result is a projector that delivers superior brightness and clarity in a cost-effective package that redefines value for professional large venue installations. This projector supports HDTV resolutions and is Mac compatible. Please feel free to contact us for pricing. This lightweight and compact speaker is loud and mobile. It uses rechargeable batteries to operate and can last 8-10 hours between charges. Comes with your choice of a lapel or headset microphone and is suitable for both indoor and outdoor use. This unit can be worn around waist or over your shoulder. This is an ideal unit for those giving presentations at a trade show booth or for use with tourist groups. Give us a call for pricing.